I’d like to welcome you to VELA’s new quarterly newsletter, GRAVITY. The intention of this communication is to provide timely, relevant ideas and content. We are pleased to announce that we are one step closer to leaving the confines of a traditional corporate office and moving into our own new and innovative space. Downtown Vancouver has been a great hub for VELA, but we knew it would be beneficial for our growth to leave the hustle and bustle of downtown to relocate somewhere that has a strong sense of community that meshes with our values. North Vancouver is where many of our clients and team call home. This area is one of the most sought-after locations in Vancouver due to its location, diversity, natural beauty and overall family-friendly environment. Our deep connection with the area made it the obvious choice when deciding where to locate. The new space will be housed in the recently completed West Quay development on West Esplanade, a short walk from Lonsdale Quay. It was crucial that our office be centrally located and easily accessible to all. Inside, you will find a working space that is modern and simple, yet timeless. At 1,765 square feet, the space permits plenty of room to expand our growing client-base and add to our amazing team. The open concept invites free-flowing communication and encourages collaboration, while individual offices with moveable glass walls meet the need for privacy that is so key in our business. Each detail and trim throughout the space was hand selected with care to foster an environment for progressive and impactful thinking that to help guide the success of our clients. Natural sunlight shines through the entire space in large part to the floor to ceiling window which leads to our private balcony. Here you have an unobstructed view of Waterfront Park where you can enjoy the beautiful scenery. This change in scenery is vital to maintaining our approach of breaking from traditional methods of financial planning and empowering those we advise to make a clear plan that not only makes a positive impact on their family but to the world as well. Thank you to our clients and advocates for putting your trust in us and moving forward with us through this transition. We look forward to opening the doors of our new home to you and continuing the progression towards your unique vision for life. London Life has created this fantastic article outlining passive investments, small business deductions and many other key tools that can be used in financial planning. In today’s ever-changing landscape PURPOSE might be the only constant in your business. Purpose enables you to define your company’s true brand and create its desired culture. Your vision and your mission may change over time as you adjust your goals and how you do business but your purpose, the reason your business exists, remains the same. Purpose helps to ground your business, it provides a guideline for your services, procedures and policies. It drives your corporate identity and provides direction in decision making, it is your foundation. When crafting your purpose statement find a way to express your organization’s impact on the lives of your employees, customers, clients and other stakeholders. You want to elicit an emotion make them feel what you do. Purpose will enhance many areas of your business including improvement to your bottom line. You will benefit from an enhanced corporate culture, improved employee attraction and retention, and engaged loyal customers/clients. Purpose when done well is your competitive advantage. Your brand is built on strong, clearly articulated purposes. If your company’s aspirational culture and its actual culture are not aligned your customers will notice. When promise and behavior are in sync you are anchored from a place of purpose delivered by engaged employees who fulfill and deliver the purpose brand you have instilled. Your competition can replicate your product or service, but can they match your integrated purpose? Millennials are leading the charge when it comes to change in the workplace. Millennials want a challenge and fulfillment from their work, but they also expect their employer to have a conscience and give back to the community, protect the environment and make a real difference in the world. Purpose is not the new business buzzword it is a trend that companies large and small are implementing because they see the value. Purpose has been around for a while and businesses who have authentically incorporated it into their model are seeing the impact for themselves and the communities they work in. Your marketing message should not say what you do or even how you do it but WHY you do it. Find your clear sense of purpose, pair it with your values, set it in motion and see the ripple effect on your business. 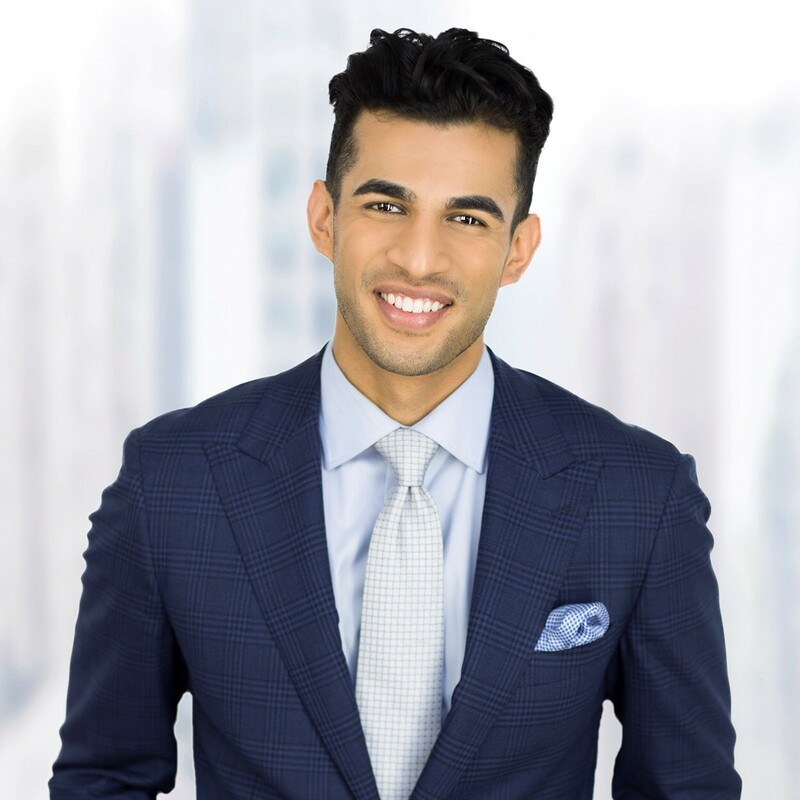 Salil is the newest member of our team at VELA Wealth Management. After pursuing a career in medicine, he decided to transition to financial planning and it was a natural fit, given the many parallels between the two disciplines. In his role of Client Development, Salil helps guide clients through VELA’s holistic planning process, ensuring they are well-looked after throughout their life. A caring and passionate individual, Salil brings a genuine and thoughtful approach to stewarding the client relationship. We are delighted to have him on board! You may be able to defer property taxes on a principal residence if you are over the age of 55, supporting a child under the age of 18, or supporting a child of any age attending a post-secondary institution. If you have tax-paid capital, you can lend it to a trust and then have the trust invest it to split income with family members. You can have dual wills for personal assets and then for private company shares. You can use permanent life insurance to help preserve the Small Business Deduction. There’s a way you may be able to turn a $5000 charitable donation into a $100,000 donation.